24 Light Crystal Chandelier. The Alessia crystal chandelier comes in an exquisite modern high polished chrome finish with an antique style frame. This crystal lighting fixture will look fabulous in a traditional or modern styled room. All of our crystal lighting chandeliers are UL certified and able to be placed in any commercial or residential setting. 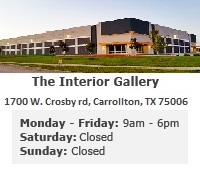 Rest assured that The Interior Gallery will bring you high quality elegant crystal chandeliers while maintaining a factory direct low price. This 3-tiered modern crystal chandelier has 24 candle style lights. Each of the 24 lights will be able to hold a 60 watt bulb for maximum illumination. The Interior Gallery crystal chandeliers use high quality K9 crystal which has a 30% full lead oxide content. They are precision machine cut and polished to provide full optical clarity. Expect to see a beautiful spectrum of coloring in each crystal adornment. Each element included in this crystal chandelier has been designed to exquisitely offer a state of luxury , while the combination of these parts will deliver an atmosphere of sophistication.